Skyscrapers in Shanghai and the tall tours of Dubai rise above vast, well-known smart cities. San Francisco and its nearby Silicon Valley also have the international reputation of smart technologies. Other smart cities may be less known, possibly due to their size or remote locations. Still, many now lead with smart city innovations. The smart city of Kalasatama, now rising from just outside Helsinki, Finland anticipates that its population will grow from today’s 3,500 to 25,000 people in 2030. That will likely create 10,000 jobs. Kalasatama is designed for efficient living that will free-up an average of one hour per day for each resident. One key to the efficiency is that the city’s schools, hospitals and transportation hubs are clustered rather than scattered across the map. 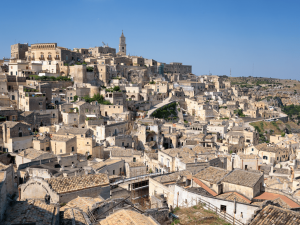 On a cliffside in southern Italy, ancient Matera seeks to become one of the first 5G-enabled cities in Europe. Named the 2019 European Capital of Culture, Matera plans to use virtual reality and 5G connectivity to promote its beauty, culture, and history. A UN report projects that by 2050, urban areas will be home for 68% of humanity. That growth boosts smart city initiatives in larger cities. However, in the US, the Conference of Mayors found more than 30% of smart cities projects are in cities with fewer than 150,000 residents. 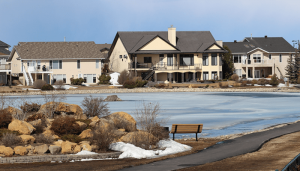 Smaller cities are said to be nimbler, minimizing formalities required in metropolitan areas. With limited regulation, projects may move faster. Given fewer meetings, solutions may be a phone call away. As 5G internet technology extends from large cities to small, knowledge workers and other well-paid professions may follow. Communities which once relied on factories and manufacturing may host good jobs for remote workers. Technology is expected to expand the freelancing workforce from the current 30% to a full 50%. After surveying the smart city landscape, some observers conclude that less might be more when it comes to smart city projects. Small city projects do require funding. They nonetheless are well-suited as pilot programs, proving the value of technologies before investment is made at a larger scale.